We all know how much a I love a quirky evening out in London. I’m all for cocktails and out for dinner, but if there is something a little different on offer then I’m gonna opt for the latter! 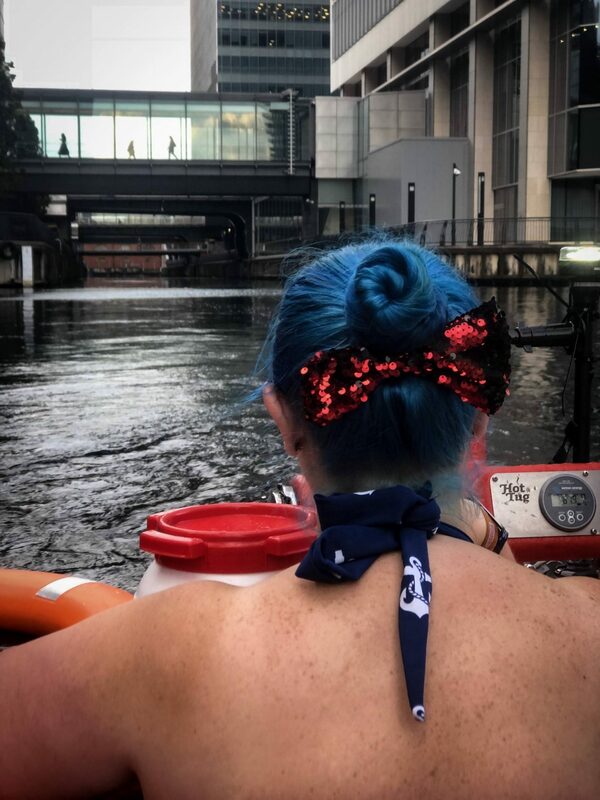 I love trying out the unusual and there’s nothing quite so unusual for a Thursday evening as stripping down to my swimsuit in the middle of Canary Wharf to spend an hour and a half in a Hot Tug! 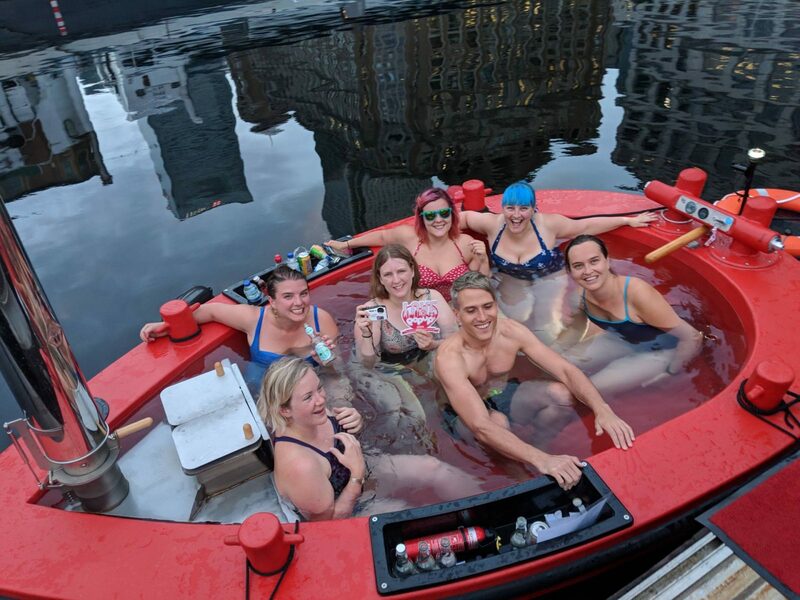 Well, not only did the Crowdfunder smash the £10,000 goal within the first week, the campaign resulted with an amazing £30,469 raised by 221 supporters that means HotTug have just opened their second launch pad over in Canary Wharf. 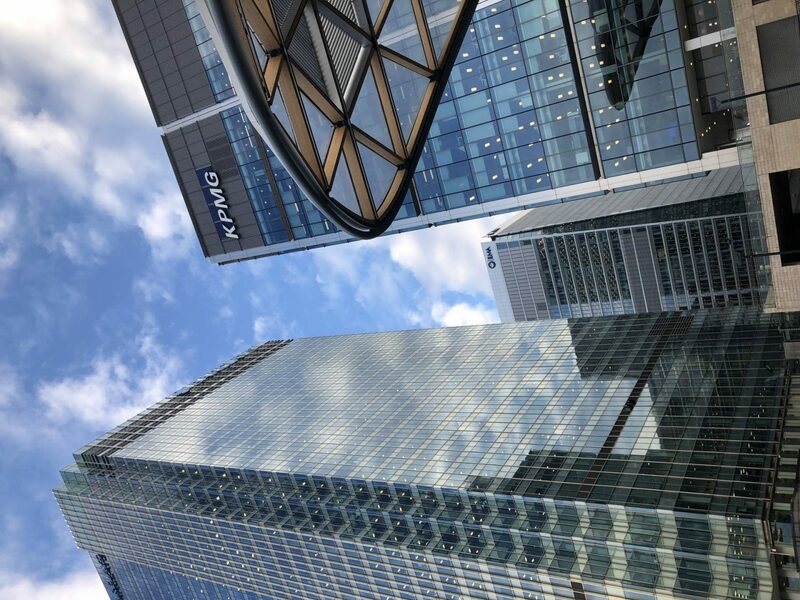 The first is over in Angel that launched in July 2017. We had such a fantastic laugh, from the minute we all met up and were discussing how the rain had better stop for our trip, which it did, to the minute we disembarked and all went back out into the real world. We all felt like celebrities as the crowds outside the pubs and restaurants waved down at us, asked questions and took plenty of photos. I was actually shocked to the see the sternest looking of men in suits crack a smile, chuckle and give us a wave! We we steered our way through the canals, we were allowed to have a drink or two which did make the experience a little more fun! Well, unless you’re the designated driver as they have to stick to the soft drinks. The fresh water in the HotTug is emptied out after each use, so don’t worry, you’re not sitting in someone else’s grim like most hot tubs! The water is also heated to an amazing thirty eight degrees so being submerged in the Thames doesn’t have to be as cold as you think it might be! If you’re looking for something totally off the wall, then this just has to be top of your list! This experience is not suitable for under 16’s so please leave the kiddos at home for this one. The cost is £225 per HotTug, and you can bring up to 7 guests making it a mere £32.10 a person which is so worth the money. You can also bring 2 can of beer/cider or half a bottle of wine or 2 premixed spirit cans only per person so don’t forget to grab a few on the way! Thanks to Love Pop Ups London for organising. "Feeling Hella Fruity with Rekorderlig Cider Botanicals at Udderbelly! *"
"Have you Heard of Cleen – The Washroom Review App?! *"
That’s such a cool thing to do! I love finding quirky things to do in London. I think I’d get nervous being watched hahaha but it looks like so much fun!